Luis Valbune, 33, Venezuelan professional baseball infielder was killed in an car accident Thursday night in his tnative Venezuela. TThe player, who was for the Cubs infielder from 2012-2014 and was one of the popular head in the team. Valbuena and his teammate and former major leaguer, Jose Castillo,37, were killed when their car collided with a rock that rolled on the road. Valbuena and Castillo had finished their game for Cardenales de LKara in the Dominican Winter League. The driver of the vehicle and teammate Carlos Rivero both only the survivor of the accident. Valbuna batted .232 in 347 games with the Cubs(.226 with Mariners,Indians,Astros and Angels) for over three years. The cubs reported that left-hitting Luis Valbune from Blue Jays at the start of the 2012 and released on Augest 7. The Cubs on a tweet "We are saddened by the passing of former Cub Luis Valbuena,"sent early Friday morning. "The Cubs organization sends its condolences to his family and friends." #LVBP | De acuerdo con una fuente, el veh�culo en el que murieron Luis Valbuena y Jos� Castillo era conducido por el chofer de Carlos Rivero. El carro choc� con una piedra en la v�a y se sali� del camino. 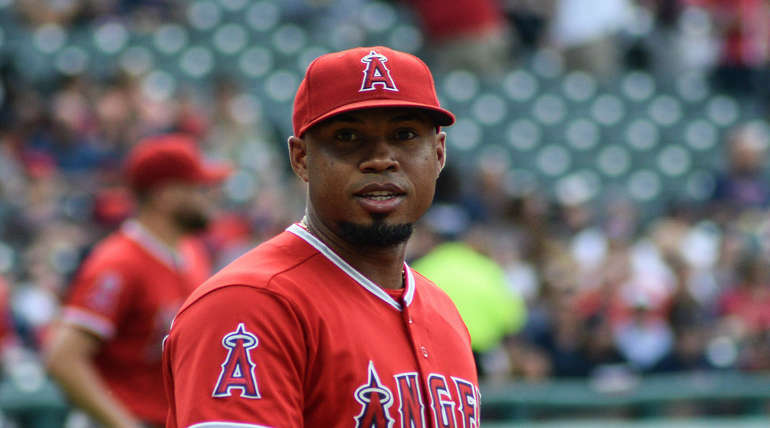 Luis Valbuena reportedly perished in a car accident. Best known for stints w/Indians, Cubs, Astros & Angels. Remembered a July 2014 game where Valbuena hit a go-ahead 2-run HR. 1 inning earlier, Cardinals tied game on an Oscar Tavares pinch-hit single.